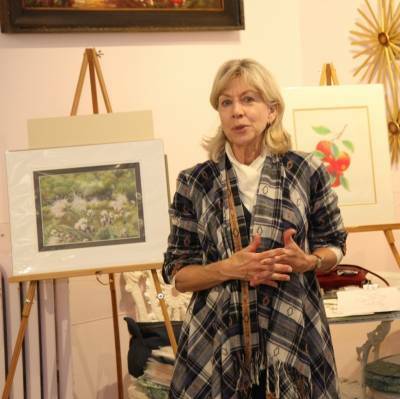 Degreed instructors Carol Bonick & Pam Bernard will teach you how to create a vintage-inspired botanical image using colored pencils and mixed media. $32, includes all art supplies, instruction, beverages, desserts, and a shopping coupon. Sign up online or by phone. Online registration for this event is closed. Please call the store and ask for the Events line to inquire about availability. We have a 48-hour cancellation policy. To receive a full refund, you must call the store and inform the Events Manager at least two days before the program.